Following the highest standards, our WPS is the best you can find online. 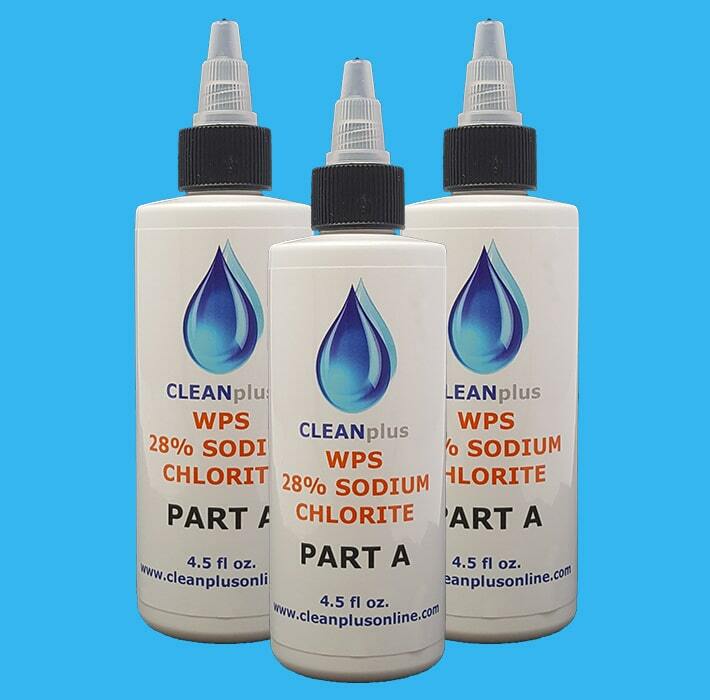 Carefully measured and mixed by our staff, you will get the highest and precise quality 28% sodium chlorite solution. We check all of our products for exact proportion. Our products are tested and made in a laboratory environment, ensuring your safety and long shelf life. How to use: Use one or more drops from this bottle for a gallon of water. Mix each drop with one drop of 50% citric acid and wait 20 seconds before adding water. Notes: For absolutely purified water, the solution in this bottle MUST BE mixed with citric acid. Warning: Do not use full strength. Keep out of direct sunlight. Dangerous: Keep away from children. Antidote: In case of accidental ingestion, drink several glasses of water and all vomiting; see your doctor. 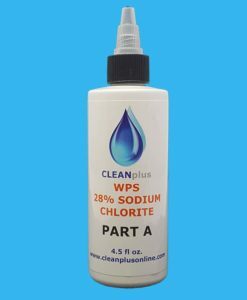 Contains: Water and 22.4% sodium chlorite. This product is sold and intended to be use for water purification only and the choice of using this product in other applications is the sole responsibility of the user. This product is not marketed for internal use. These statements have not been evaluated by the Food and Drug Administration. 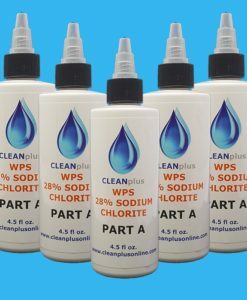 cleanplusonline.com is not responsible for any consequences or damages resulting in misuse of these products. We do not offer, nor do we claim to offer to cure, prevent, diagnose, or treat any disease or condition. Only a Licensed Doctor is qualified to do this. Please consult your physician before using these products. This product is sold as a precursor to the onsite mechanical generation of chlorine dioxide for approved uses,see approved uses section on our website. This product has not been approved by the FDA or EPA for internal use. The FDA has issued a warning against using this product internally. See FDA warning.